I have started reading fashion magazines since I was around 13 years old, and I have been a chubby girl since I was 10. Reading all these Fashion magazines like Vogue, Marie Claire, then i-D, Dazed and confused with almost always Size 00 models in there, was obviously not good for my mental health.Well of course after years of confidence building, I don’t really care about body size now. I believe every size could be beautiful, because beauty starts from your feeling within. If you were born with fast metabolism, never had to care what you eat because you can easily stay slim, you may not have to go through as much as we do, nonetheless, we all have image/body issues, confidence issues periodically. I have learned that, one must feel comfortable in thier own skin before one can feel comfortable enhancing their natural beauty with fashion statements. Just remember, you don’t have look like a model to feel beautiful and have confidence in yourself. Appearance is only a part of who we are. With E-magazines being ever so popular nowadays, it’s fairly easy to get our hands on some Plus size Fashion Magazines where you can relate to easier; compare to all the magazines out there which don’t even mention where you can get that cool jacket in your size, these are the best for us plump ladies! Plus all the features about body&mind confidence, positive lessons in life, it’d certainly serve as a healthy potion every month for your brain. 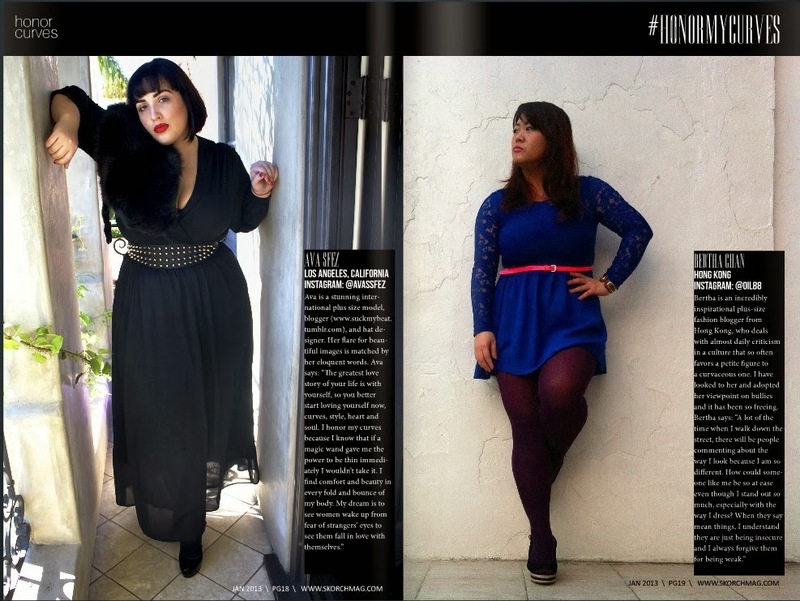 My favorite plus size mag as of now. I have always wanted to read a glossy that is exactly like Glamour UK, full of fun, high street style which should be more of my signature at the moment, and I see this potential in them! Seeing they have only been published 3 season, this mag certainly has great potential and space to grow. The name says it, you want to know how beautiful a plus size model could look after being dolled up? you could totally use the styling ideas and do the same! A rather mature mag I’d say, glamourous is their staple – for the sophisticated ladies who like sequin, one piece shift dresses. Also, don’t miss Dec ’13 issue if you are are inspired by strong independent woman, as they have loads of interviews with people in the plus size industry sharing their stories in this issue. 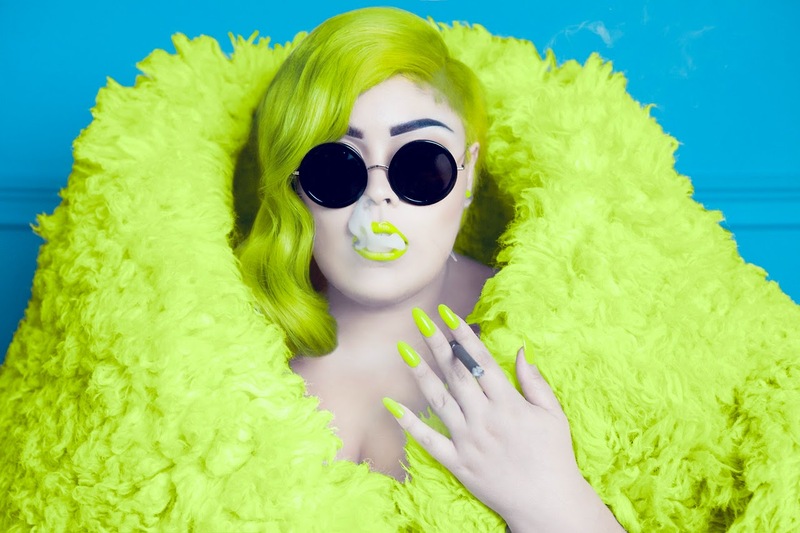 Skorch Mag is the resource of #bodypositivity and street style fashion. One of the main reason you will want to read it every month is their #Honormycurves Column by Honor Curves. Our favorite heroine Honorine, hand-pick these strong, positive women who are being themselves in every fashion to be featured in it. 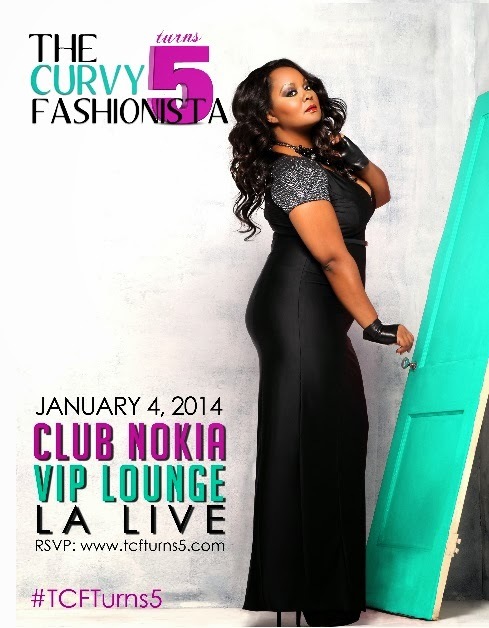 Last but not least, TCF is the most informative plus size fashion website. You can find all the latest plus size fashion resources you need up here. Marie Denee is for sure one of the hardest working woman I see in the plus size industry, she must be working around the clock as you can see feeds, news, updates, tweets, press release publishing all the time on her website/FB/Twitter page. If you are seeking a plus size crash course? look no further. They don’t have a flip book so it’s not easy to read through their site, and also they are charging 3.95 pound per issue so I have not really read it before, hence I cannot put in my top 5 pick. I have to say they have the most awesome fashion editorials among all, and they also cover a lot of different categories which most of the other mags lack of.